Alongside all her hits such as Pearl’s A Singer, Lilac Wine and Fool If You Think It’s Over, the album also contains two new singles: Love Ain’t Something You Can Get For Free, written by Ray Parker Jnr and Wah Wah Watson, and Forgive And Forget, written by Bryan Adams and Phil Thornalley. Virgin EMI launched their campaign last month with a strong start at radio. The new single Love Ain’t Something You Can Get For Free, was premiered on Radio 2 by Ken Bruce on April 14, and last week was made Record of the Week, propelling it to the A-list. Virgin EMI’s radio team secured Elkie a drive-time appearance on Simon Mayo’s show earlier this week, where Forgive And Forget was played for the first time, with Elkie announcing a show at London Palladium on September 19. There’s more radio promo lined up, including a LBC interview with Steve Allen and a three-track Ken Bruce live session coming later in the month. Alongside the strong radio plot, Virgin EMI have a busy TV schedule for the week of the album's release. Expect to see Elkie having a chat on Lorraine, and performing on the One Show, as well as a special broadcast for ITV’s Live at the Palladium. 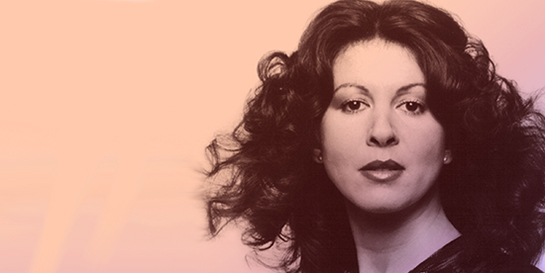 Elkie Brooks became a solo artist in the Seventies having fronted blues band Volcano Lips. Her first album Rich Man's Woman became the biggest selling album by any UK female at the time, despite its controversial cover. Since then she’s had 18 more studio albums, her last being Empire released in 2012, in addition to three compilations. While the two new singles are getting fans excited, Virgin EMI’s digital campaign is centred on reconnecting audiences using the singer’s back catalogue. Short videos have been posted on her Facebook page, highlighting her musical achievements and the breadth of her back catalogue. This will continue up to the album’s release, along with social media banners and digital ads targeted at fans of similar artists. Press is still to run, including a Relative Values piece in The Sunday Times and Daily Mail interview.